A mild January day, no plans and no excuses. 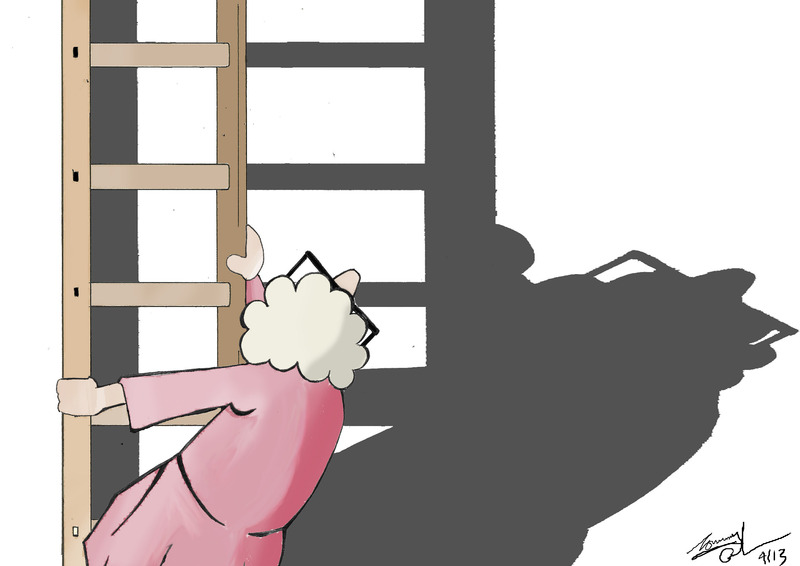 Time to take a step on my Health Ladder – Tai Chi in the garden first, porridge and honey next. Then it’s all new walking boots and Christmas present socks and brand new scarf. It is a misty damp morning, but a swan and a gaggle of ducks greet me when I get out of the car to start my country walk. Must remember some bread next time. Then perhaps they will waddle away looking a bit happier to see me. As I step off the road into a path through the fields, it becomes increasingly wet under foot. The bad news is the new boots are completely waterproof, so no excuses to turn back. Rising up the hill is all asthma puffers and short of breath. This is an official right of way with signposts and white marker discs to show you the route ahead. Why don’t they think of seats at regular intervals along the way? A good news reward higher up the hill – the mist disappears and there are fine views with distant houses drawn in sharp feature by the low winter sun. The mist adds mystery by painting several distant horizons in increasingly lighter shades of blue-grey. Birds scatter in alarm as I approach, but surprisingly the sheep hold their ground. I am in their field after all. For the first time close up I notice that sheep are heavily into ear-piercing. Some have blue earings, others have yellow. The farmer certainly knows the difference, I hope the sheep don’t. I guess there must be a “Liverpool Care Pathway” for sheep. Enough of my winter wanderings. I head off back to the pub for a liquid lunch which will add back all the calories I’ve lost. Still, I feel better for it and it made me reflect. Everyone has periods of bright sun in lives, but also times can be often shrouded in mist. In later life, we would all hope to have cast long shadows which are a mark of our accomplishments. As people get older, we need to find the bright sun and long shadows in everyone. This entry was posted in HEALTH and tagged "A Health Ladder". Bookmark the permalink. Key words are ‘tai chi’ and liquid lunch! Went to my first meeting at Cheylesmore Community Centre and posted on facebook that I had hoped for tai chi and pub lunches but it seemed to be more about changing lightbulbs and escorting hospital visits – early days yet. I’m sure there are like-minded pensioners out there somewhere. Thanks for posting Jean. You are quite right the social contact and interaction is the most important aspect of addressing loneliness and isolation. It is the broken light bulb and increasing frailty that can stop you going out to enjoy life. So we have to tackle both at the same time . With your and others help that is what we will try to do in Cheylesmore. An excellent meander through gods garden, and foodtore. I notice ones boots got wet? How is a different matter. I wonder if all this before sunset was falling asleep in the barbers chair reading or listening to ‘Gardners World’. Were you out for the day down the lane, or in the car looking for that swift half and a chat and a daydream? However you went your words conveyed me thoughtfully to a diffent world of peace and tranquility. Thank You.